3 Unusual Hacks to Grow Your Email List to 7500 in 30 Days! Summary – Are you the average marketer or the guy working smarter not harder? 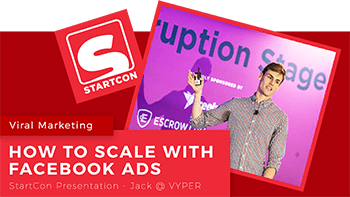 Well Carlos from Pourfection Coffee decided to be the latter and share his story of collecting 7,500 emails using a VYPER leaderboard contest. He sent this post to us to publish as he was so excited with the results he just wanted to share it with others. One day a lion and a cheater were hanging out. They were both so fed up with hunting zebras, and both knew there had to be an easier way to eat. So they decided to make a bet to see which one could capture the most zebras. Both got to work immediately. The lion frantically searched for the finest grass the savannah had to offer. He then put signs up at all the watering holes promoting discounts on fresh green grass at the lion’s den for the first 50 zebras. The result? 750 ZEBRAS FOR HIM AND HIS PRIDE TO EAT! A feat that was unheard of. Meanwhile the Cheater decided to take a smarter approach. He decided that he should giveaway all the finest grass in his inventory for FREE. All you had to do to win was to be present at his cave at the time he announced the winner. But the catch was, if a zebra bought a friend, they would get an extra entry point to the grass contest, which increased the chances of them winning all the grass! The result of the cheetah’s campaign? 10X the lion’s campaign! He had so much zebra that he and his pack never went hungry again and had enough to give back to the hyenas. So what does this dumb story actually mean to you and your business? 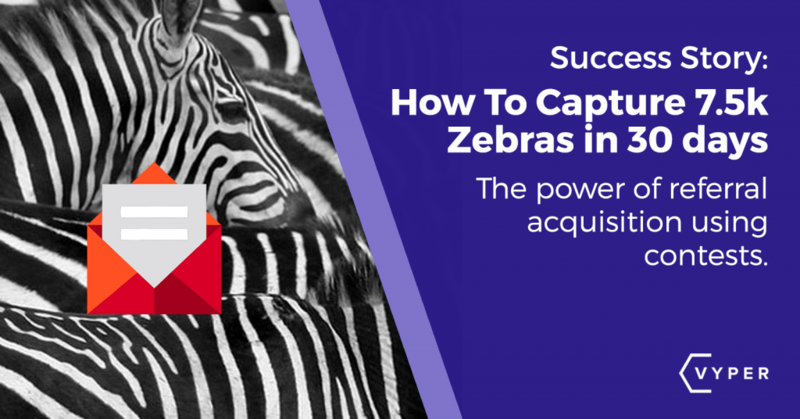 It means that if you’re just beginning or looking to inject growth into your email list you can go about it one of two ways. Use a traditional method: Create a lead magnet, run ads to your site, get people to download said lead magnet, hope they find value and share it. Give them an offer they would be stupid to refuse and incentivize them to share it like mad men using VYPER’s Leaderboard contest for example. We at XFection decided the latter and went from literally less than 100 subscribers to 0ver 7,500 engaged subscribers in 30 days! All while increasing our social media accounts by 1500%. If option 2 sounds a bit more appealing to you, good, keep reading. We are going to give you all of our secrets. Use the social media automated features to work for you by adding hashtags in the Twitter Snippet. When people Tweet from the backend of the contest to gain points these hashtags will allow your message to trend. So whenever users on Twitter search #starbucks, or #coffee the likelihood our Twitter page and contest would be discovered increases. We produce and sell a nootropic (brain supplements) coffee creamer, which gives the drinker a boost of energy beyond that of normal coffee. TIP – Find out what complimentary brands are out there that have your ideal customer already and offer their products as a way to incentivize your contestants to share the word about you. 2. How to leveraged thumbnail images to work for you! We already knew that people were going to be sharing our post left and right, so we were proactive to use this to our advantage to maximize the amount of attention it would gain. Everything from the red coffee cup and text, to the girl sitting on top of the cup, the image stands out! And the results show for it. Just on Twitter, we gained 1,353 follows about a 1500% improvement. Although this traffic is good and you can control it; it isn’t YOUR traffic. This is why transferring this traffic into real emails so you own the traffic FOREVER is so important. TIP – Twitter and Pinterest do not limit your images to 20% text unlike Facebook so take advantage of that. This is the magic bullet that took our list from 1,000 emails to 5,000 pretty much overnight. This hack probably takes the most amount of work, but trust me, it’s completely WORTH IT! Here’s the #1 key to influencers ? PROVIDE VALUE! It sounds simple because it is! Yet, too many people reach out to influencers expecting the world for doing nothing in return. Sometimes you can simply offer a sample of your product or some swag. In most cases people are going to want you to Venmo them or send gift cards. 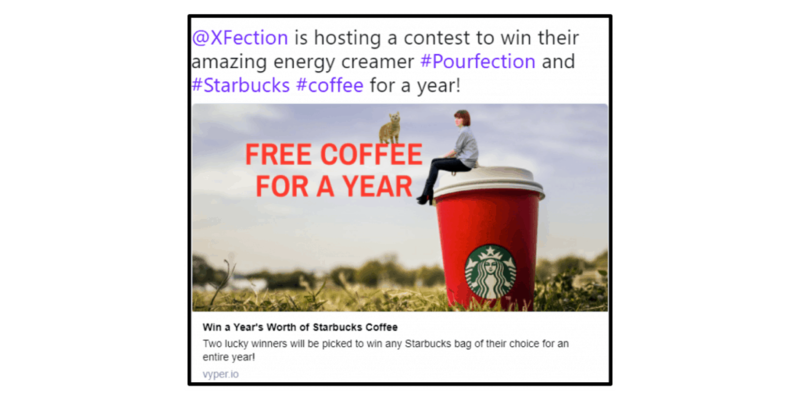 $10 Starbucks gift card for exposure to 15k coffee lovers? Yes please! Coffee related pages with appropriate number of followers (ours were 5K – 100k) were our bread and butter. Anything less wasn’t worth our time and anything over 100K was out of budget. Side note here – engagement is critical! You don’t want to waste your time and money on accounts that don’t get the eyeballs. You want at least 10% of engagement to follower count. And always, always make sure you negotiate for a deal where both sides benefit. Do this 1,000 times and you’ll have a few people that are willing to help share the contest. Posting on their story is good if they are verified since when their viewers swipe up they are immediately connected to your contest. But the best is when the influencer is able to post your link in their bio for a period of time. Increasing your reach like this (along with the Twitter hacks) the right person will come along and BLOW UP your list. The top 3 people in our contest were responsible for 60% of our list. When these people come along, they will quite literally take your list from 0 to 5,000 pretty much overnight. Just make sure that you’re 100% ready for that kind of explosion. Are you a lion or a cheetah? That about sums up how we crushed our first campaign on VYPER! Their Leaderboard contest is so incredibly powerful! Seriously you’ll want to jump on it before the masses do. It’s so easy to use and setup that a couple of newbies like us were able to do it successfully! Not to mention they are always available on their live chat on their site. Any question we had was answered in a timely manner. We will be back for round two very soon! Pourfection increases focus and cognition so that you can get more work done in less time. By adding nootropics, we were to reduce the crash and jitters of coffee so you won’t have to crash at 2pm and drink 4 cups a day just to get by. It feels like the amount of coffee never ends, and still your eye lids feel heavy as you continue to do the same thing over and over and over. Struggling to focus and stay on task, you can never catch up since you only get energy by constantly chugging jugs of coffee to live up to the expectations of your supervisors and yourself. What are you doing still reading this you should be signing up at VYPER while sipping on some Pourfection Focus Enhancing Coffee Creamer! Content marketer at VYPER.io. Over 5 years in email marketing. Built 50k+ email lists. Digital marketing consultant for 7-9 figure businesses. Copyright © VYPER. 2019 • All rights reserved.